Many people who work in Florida, want to know if they are classified as independent contractors or employees. This is especially true for those who perform contracting work, are paid commission-only, or get paid through their own company (like an LLC), For instance, if you do part-time editing work for a local company, or if you are a driver for a car service, what is your proper classification? Can you choose? In short, the answer is no: individuals (or their employers) cannot “choose” whether they are an independent contractor or employee. Instead, we have to look at factors established under the law to determine the proper classification, which includes the nature of the work you do. In Florida, the intentional misclassification of a worker is a felony. It is important to understand the distinction between an independent contractor and an employee, and how your status impact the responsibilities of the employer, and your rights as a worker. Why does it matter if you are classified as an independent contractor or an employee anyway? Internal Revenue Service (IRS) explains thatbusiness owners are required to withhold income taxes for employees, but not for independent contractors. That is not the only difference, however. Employee may also be entitled to certain benefits (like social security and workers’ compensation) paid by the employer, and if an employee gets hurt on the job, he or she generally can file a claim for workers’ compensation benefits. Similarly, employees can typically recover unemployment benefits if they are terminated from a position through no fault of their own, when independent contractors cannot. 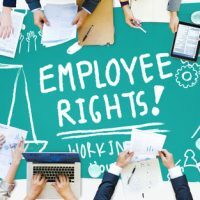 Employees may also be covered under wage and hour laws (including overtime requirements) in addition to anti-discrimination claims, which may not apply to independent contractors. Type of relationship between the employer and the worker (such as whether the employer provides benefits, or whether there is a written employment contract). In general, the more control the employer has over the worker and the more reliance the worker has on the employer (and the less the worker is independent), the more likely that the worker is an employee. When a worker is more independent and in less control by the employer, the more likely the worker is an independent contractor. Whether employer is or is not in business (if the employer is an individual, and not a business, it is more likely that the worker is an independent contractor). These classifications can be complicated and should be determined on a case-by-case basis. If you have questions about whether you have been properly classified, or if you are a business owner making determinations about proper classifications, a Florida employment lawyer can help. Contact Scott • Wagner and Associates today.